Sure, Drake's feature in the "Walk It Talk It" video is pretty slick, but Migos hit "Walk It Talk It" has now been paired with the work of an even finer wordsmith — Dr. Seuss. 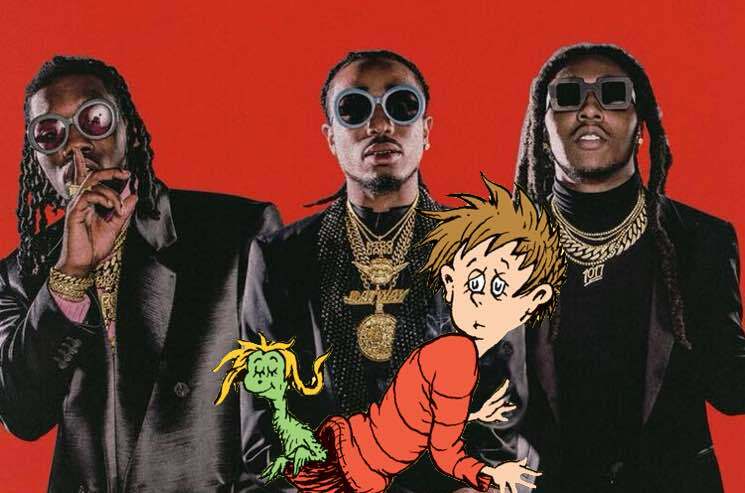 Twitter user @longlive_nixon shared a video on Twitter over the weekend featuring a revamped version of the Culture II track by @SirNevaluze that hears him rapping Dr. Seuss' classic kids book There's a Wocket in My Pocket to the tune of the Migos and Drake track. It works spectacularly well — and if you're looking for a whimsical, kid-friendly take on "Walk It Talk It," this has you covered. Check out the masterful mash-up below. Order Culture II on triple red vinyl via Umusic here.